Since our trip around the world with kids I’ve been busy writing about our travels. Many other people who are planning a similar family gap year have reached out to me for advice and information. This page is a work-in-progress where I’m trying to gather all that information (or links to that information) in one place. We left Seattle on 9/1/2010. 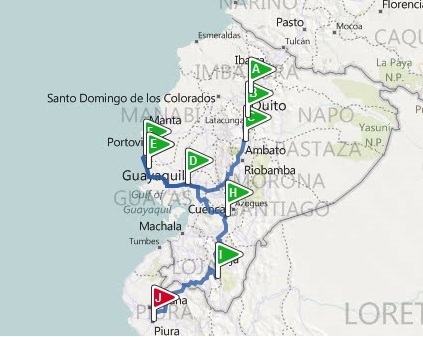 Our original route is here which we stuck to pretty well – except for dropping Bolivia due to visa issues. 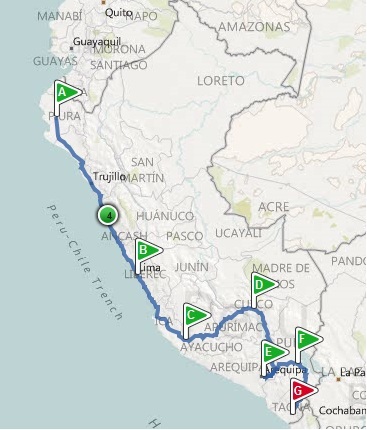 You can read the blog posts I wrote about our trip planning and preparations here or click on one of the links below. The pins on this map show the places we visited. Red pins are short photo posts. Blue pins are longer stories. We returned to Seattle Sept 1st exactly one year after leaving. We had a fantastic, spectacular trip, I can still hardly believe we did it. At this point the stories on my blog cover maybe 20% of our experiences (I sucked at staying up-to-date with blogging while traveling). I will continue to add posts relating to our travel adventures for many months to come. We stayed in Diyarbakir, in Eastern Turkey for four days before picking up a rental car and driving along the Mediterranean coast to Sanliurfa, Gaziantep and Antakya. We took a ferry from Bodrum to Kos in Greece and then started our odyssey of bouncing around Europe to visit family in Paros, Greece. Over the next four weeks we stopped in a campsite in Italy, a house in Portugal, an apartment in Spain, a seriously budget hotel in the South of France and a very cool, extremely family-friendly hostel in Amsterdam before finishing with a mini road-trip along the south coast of Iceland. We spent just over two weeks in Iran. Rather than returning to Tehran and continuing from there into Turkey, we took a side-trip into Iranian Kurdistan (Sanandaj) and then crossed the border into Iraq. I still can’t believe that we walked across the Iran-Iraq border!! We spent two nights in Sulimaniyah in rich-world comfort in Kurdish Iraq and then crossed into the Kurdish part of Turkey. We traveled overland from China into Kyrgyzstan and then on to Uzbekistan. The most difficult part of this stage of the trip was getting visas since most Central Asian countries require exact dates and Letters of Invitation even for tourist visa applications. We spent 7 weeks in China, traveling from Hong Kong north to Shanghai, Nanjing, Xi’an and Chengdu. We then stopped for a week in Beijing before going west across the entire country to Kashgar. The three months we spent exploring Thailand, Laos, Vietnam and Cambodia will, I think, be remembered as the most enjoyable part of our trip. 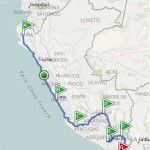 We started our trip with four months in South America. 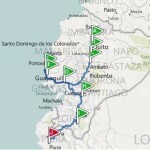 Links for Ecuador and Peru are below. We also visited Chile and Argentina. Please also take a moment to check out my trip sponsorship page. Gear reviews and blog posts on the great gear from Teva, Smartwool, Petzl and Snow Angel coming soon.